In the past few months, I’ve noticed a man who runs holding the American flag. I found the sight somewhat unusual when I first saw him. However, it was near Independence Day, so I suppose it did make some sense. Over the course of the next month, and even after July 4th, he was still running with the flag. Like any other American, I’m proud of anything red-white-and-blue. The symbolism that it represents is undeniable. We know the many lives that were lost to allow us this freedom. We’re so fortunate. With that said, I find that jogging in the hot sun is tough enough without having to carry anything, especially a pole with a flag on it. It would seem to me that he could wear a shirt or shorts that had the American symbol on it. I know that I don’t know the entire story. 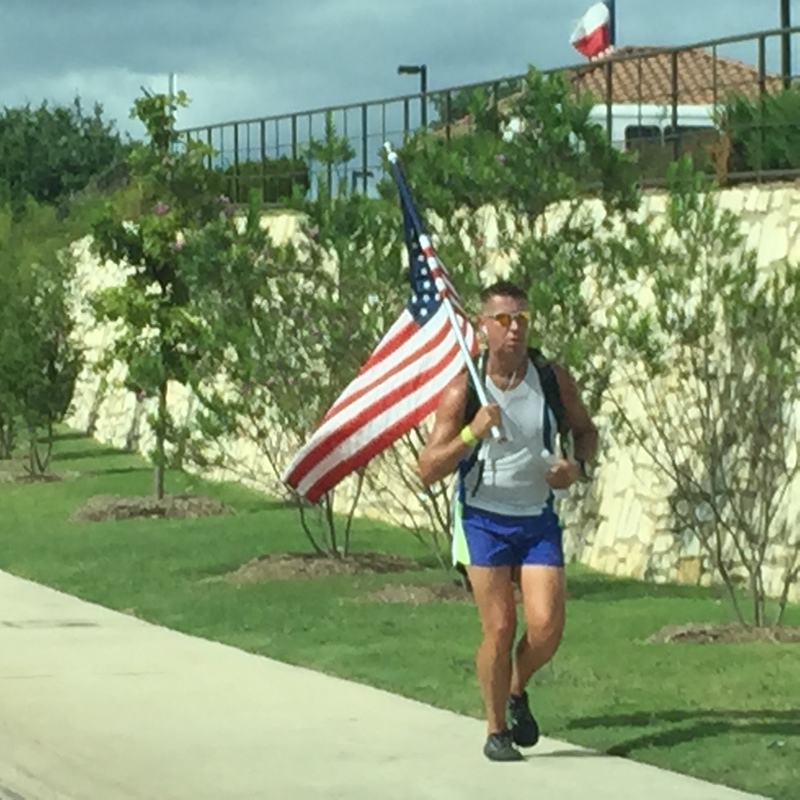 Carrying the flag during his daily run represents something meaningful to him. There’s no doubt that he has a strong motivation, and he doesn’t care what other people think. I’m sure he knows that people are giving him a double- or triple-take. In my case, I made a U-turn to come back and snap some pictures. You have to admit, the sight is a bit unusual. The more I pondered the flag-running man, the more I realized that there is an important lesson here. There are times when we’re told that we shouldn’t do this or that because it doesn’t look right. In other words, other people are often dictating what we should do and think. For example, you might have an interest in learning how to play the piano, but a friend tells you that you don’t have the ear for music or that you’re too old to consider this opportunity. Before long, you start believing what others say and decide he or she is right. This example shows why many people get stuck in a rut, and never find their way out of it. When you try something new, you’re bound to look a bit awkward, and perhaps even foolish. It’s okay! It takes time to learn the steps to a new dance or to feel comfortable giving a speech to a large audience. After a few tries, however, you will become a better dancer and an effective orator. The awkwardness will also go away. My guess is that I will not be running with the American flag anytime soon. However, the runner taught me that he doesn’t care what I think. He overcame the fear of what others might say, and he just did it. I’m sure that he’s proud of who he is and what the flag represents. Isn’t that what really matters? The next time someone attempts to squash one of your ideas, think about the jogger with the USA flag. If the idea really means something to you, run with it. The other option is to stand still and watch people pass you by. Of the two options, I would rather take my chances and get in the race.